There are 3 capes to choose from. 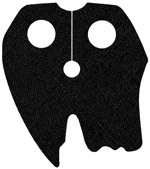 The first on the left is are own design for a hood. 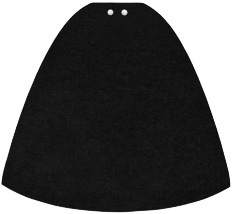 The second is the main cape and the last is the skirt. All are made from suedette (just like the capes that come with Kylo Ren). 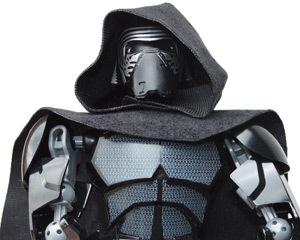 This is a cape designed for the Kylo Ren minifig. It is an ideal replacement for the 23901 cape made by Lego. It is made from standard cloth hence is different from the soft cloth of the original. 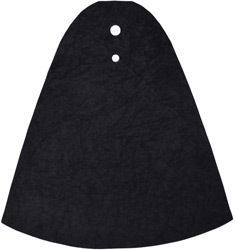 This is a cape designed for any minifig with standard size legs. It is an ideal replacement for the 522 cape made by Lego. 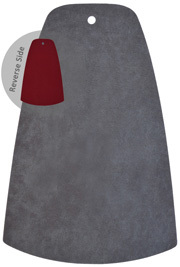 All the capes are double bonded making them stiffer than standard fabric. White fabric used is polyester and all other colours are polycotton (30% cotton & 70% polyester mix). 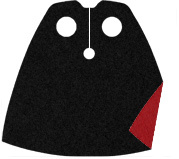 This is a cape designed for any minifig with standard size legs although they are ideal for the Lando minifigure. They are available in either marigold or the slightly darker gold. Note: As they are double bonded, with lighter colours you can see through the fabric just a little. Light colours are not opaque. 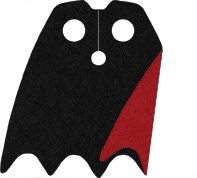 These capes are for minifigures with short legs. 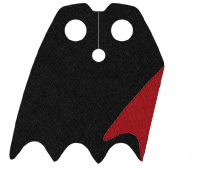 All the capes are double bonded polycotton (except White) so are identical both sides. The short tenchcoats pictured below can be found in the minifigure section. 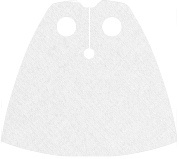 This is a cape designed for starwars trooper minifigs. It is an ideal replacement for the 74662 cape made by Lego. This is a cape designed for starwars trooper minifigs. It is an ideal replacement for the 74664 cape made by Lego. 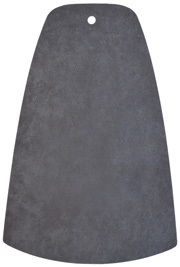 This is a cape designed for starwars trooper minifigs. It is an ideal replacement for the 89140 cape made by Lego. 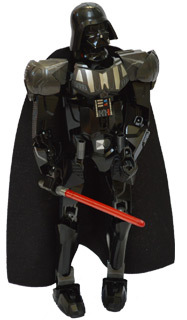 This is a cape designed for starwars Chancellor Palpatine minifig. It is an ideal replacement for the 86301 cape made by Lego. 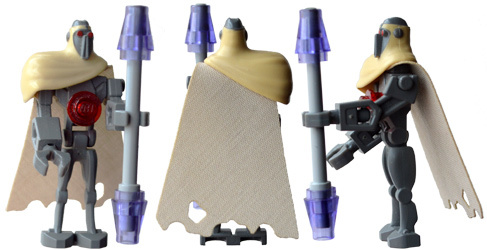 This is a cape designed for starwars Boba fett minifig. 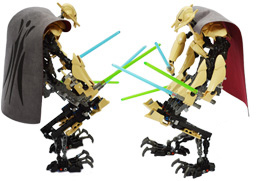 It is an ideal replacement for the 90005 cape made by Lego. 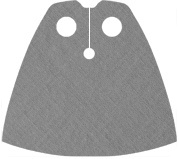 This is a cape designed for the Magna Guard minifig. It is an ideal replacement for the 61194 cape made by Lego; the colour is very close to the colour of the ones that Lego make, however like the Lego one its not a match to the cream Lego of the Magna Guard. 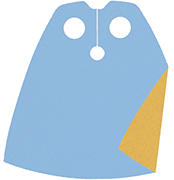 Savings can be made for purchasing bulk quantites of individual colours; to benefit from these discounts, enter the total number of capes in the form below, not within your paypal cart. 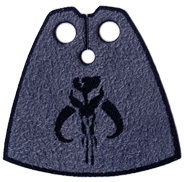 This is a cape designed for Mandalorian minifigs. It is made from laser engraved fine blue suede fabric. The suede is lasered off leaving the image (so no ink used). 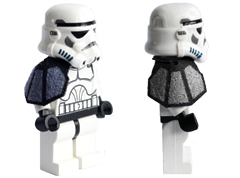 This is a cape designed for stwares trooper minifigs. It is made from laser engraved fine blue suede fabric. The suede is lasered off leaving the image (so no ink used). The reverse side is black. Made as a replacement for the large obi wan character. Please note that the suedette is darker than the original made by Lego. Savings can be made for purchasing bulk quantites of individual colours; to benefit from these discounts, enter the total number of capes in the form below, not within your paypal cart. Made as a replacement for the large darth vader character. 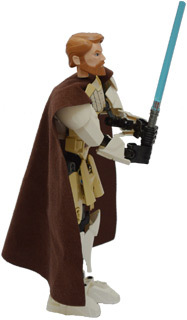 Your original cape woudl have an extra hole; it appears that Lego used the same cut as obi wan, but its not needed. Please get in touch if you would like the hole as the one made by Lego. There are 3 types to choose from. The one on the left is made from just suedette (just like the capes that come with Obi wan and Darth Varder). The others are bonded with burgundy polycotton and the last also has a bonded logo.